Take a trip down memory lane with Enchanted Kingdom and celebrate their 23rd Anniversary with pop hits from the 90s! The 23rd Anniversary Concert will be held on October 27, 2018, Saturday. 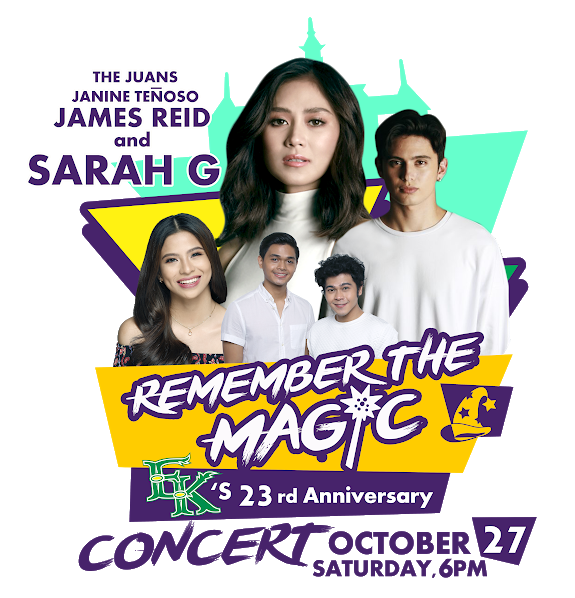 Don’t miss out on Popstar Princess Sarah Geronimo, along with James Reid, The Juans, and Janine Teñoso. Remember the magic as you dance and sing along to the best throwback hits! This is a magical event prepared for you and your family! Join us as we celebrate 23 magical years of Enchanted Kingdom, where the magic lives forever. Don’t forget to tag @ek_philippines and use #EKRememberTheMagic23 and #EKoBERload when you share your magical experiences online!